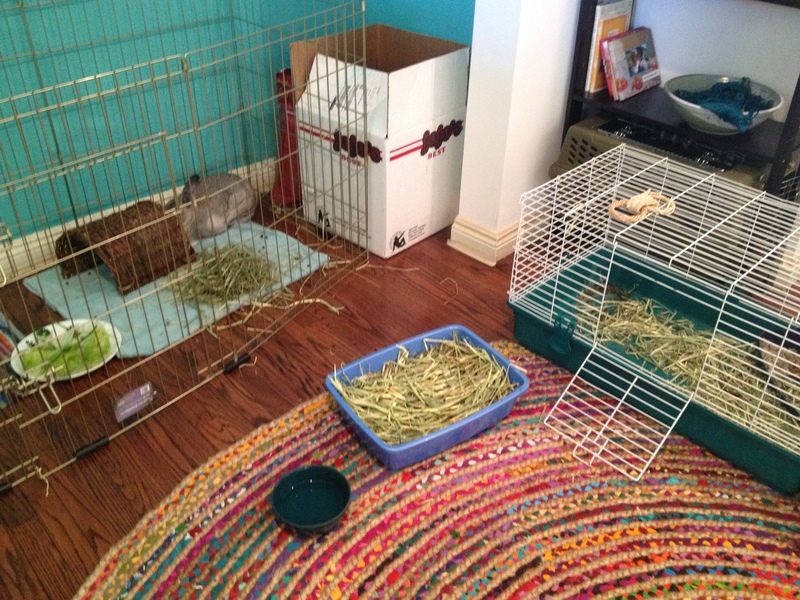 This entry was posted in Home and tagged apartment living, clutter, pets, rabbits, simplify. Bookmark the permalink. Bonnie is adorable! Rory + Bonnie makes my heart soar, just stop it with the cuteness. We have two cats and a dog and some days it feels like a zoo! The cats stuff is in the computer room and we are looking to get a small bench where we can hide their litter box inside and create storage for books and stuff on top. For the dog, the bf built a fence to contain our property and keep her running happy around the yard. And some days it’s a task keeping all of their toys and fur contained! The bench to conceal the litter box is a fantastic idea. The fur gets crazy, doesn’t it?! Thanks for sharing!